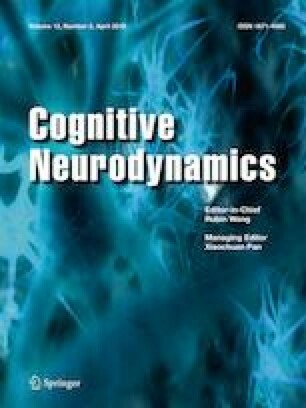 We developed a framework to study brain dynamics under cognition. In particular, we investigated the spatiotemporal properties of brain state switches under cognition. The lack of electroencephalography stationarity is exploited as one of the signatures of the metastability of brain states. We correlated power law exponents in the variables that we proposed to describe brain states, and dynamical properties of non-stationarities with cognitive conditions. This framework was successfully tested with three different datasets: a working memory dataset, an Alzheimer disease dataset, and an emotions dataset. We discuss the temporal organization of switches between states, providing evidence suggesting the need to reconsider the piecewise model, in which switches appear at discrete times. Instead, we propose a more dynamically rich view, in which besides the seemingly discrete switches, switches between neighbouring states occur all the time. These micro switches are not (physical) noise, as their properties are also affected by cognition. This work was supported by a Consejo Nacional de Ciencia y Tecnología (Mexican government) Grant (to A.M.-S.).